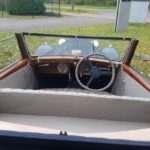 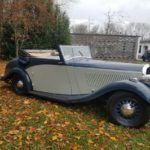 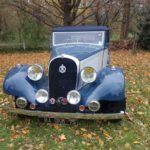 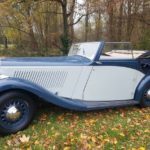 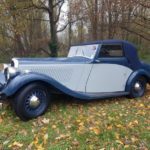 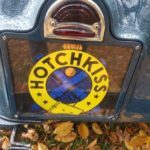 Hotchkiss were luxury cars made between 1903 and 1955 by the French company Hotchkiss et Cie in Saint-Denis, Paris. 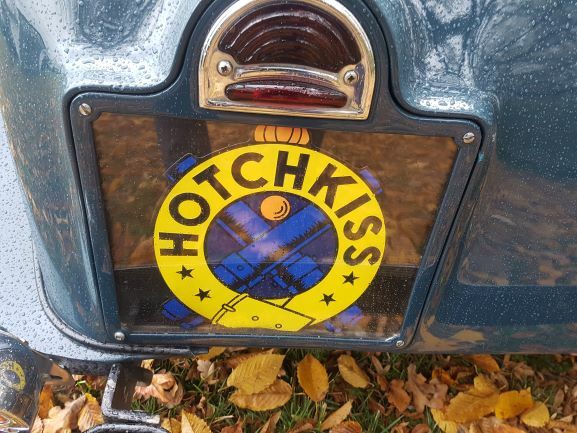 The badge for the marque showed a pair of crossed cannons, evoking the company's history as an arms manufacturer. 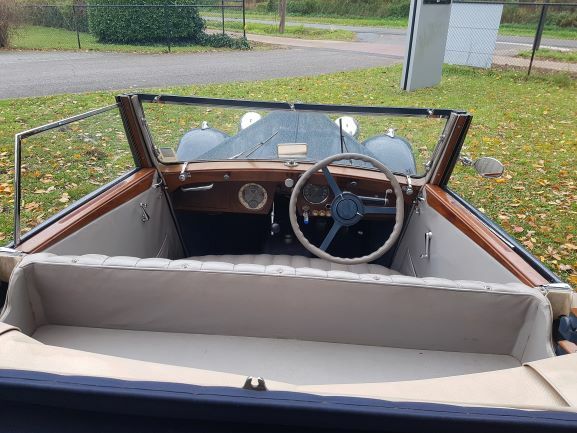 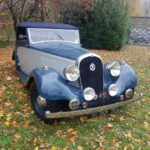 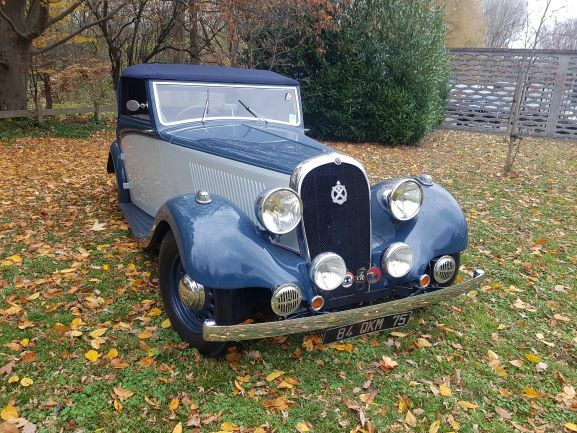 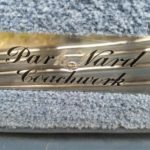 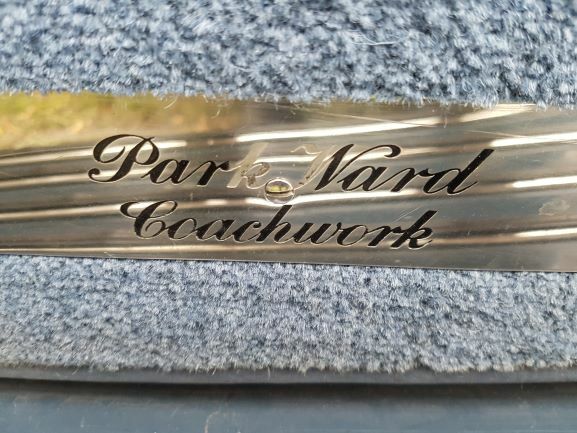 The company's first entry into car making came from orders for engine components such as crankshafts which were supplied to Panhard et Levassor, De Dion-Bouton and other pioneering companies and in 1903 they went on to make complete engines. 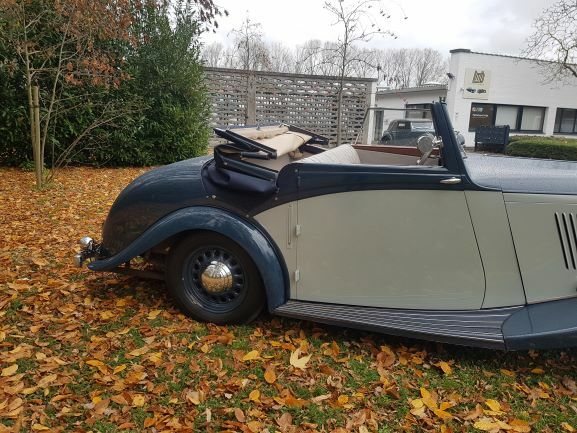 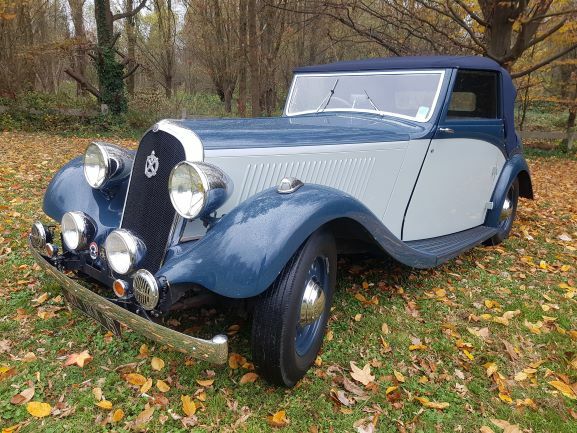 Encouraged by two major car distributors, Mann & Overton of London and Fournier of Paris, Hotchkiss decided to start making their own range of cars and purchased a Mercedes Simplex for inspiration and Georges Terasse, previously of Mors, was taken on as designer. 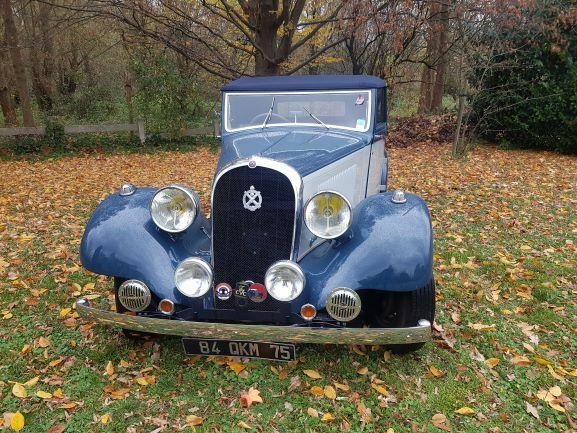 The AM models were replaced by a new range in 1933 with a new naming system. 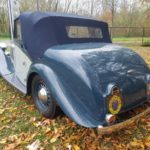 The 411 was an 11CV model with four-cylinder engine, the 413 a 13CV four and the 615, 617 and 620 were similar six-cylinder types. 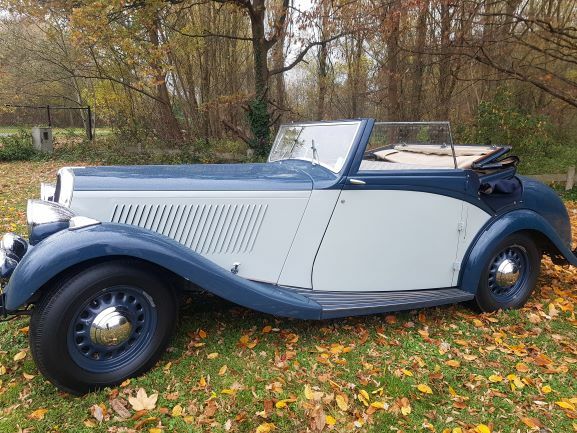 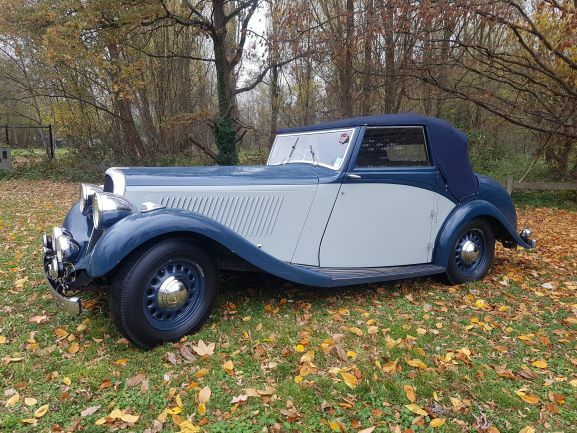 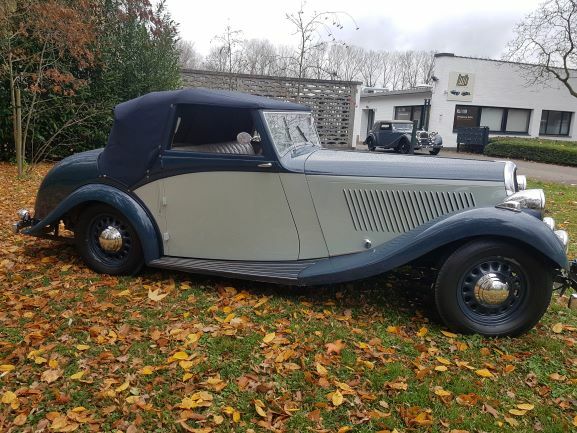 The 1936 686, which replaced the 620, was available as the high-performance Grand Sport and 1937 Paris-Nice with twin carburetors and these allowed Hotchkiss to win the Monte Carlo Rally in 1932, 1933, 1934, 1939, 1949 and 1950. 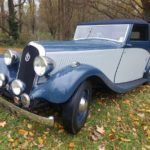 The new naming scheme introduced in 1936 consisted of the number of cylinders, followed by the bore of the engine (in millimeters). 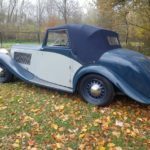 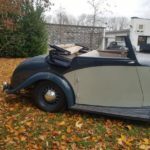 This car has been built in 1936 and bought as a rolling chassis, bodied by Park Wade in England and thus making it a one of a kind. 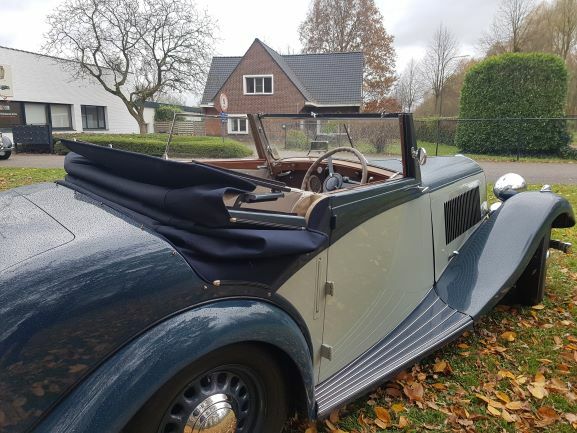 The car has been offered to Mrs. Curzon as a wedding present, when she married Mr. Ronald Kidston. 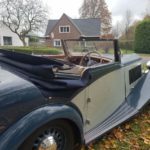 Ronald was the brother of the famous Simon Kidston, a well-known car racer who won Le Mans in 1931. 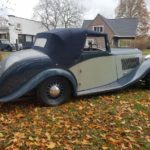 With chassis nr. 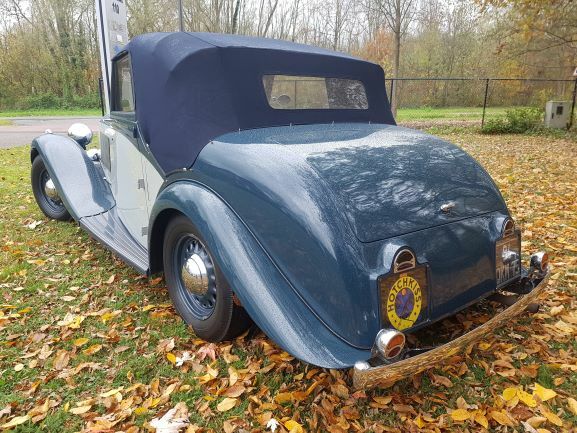 62151 and engine number 8782, the car has matching numbers. 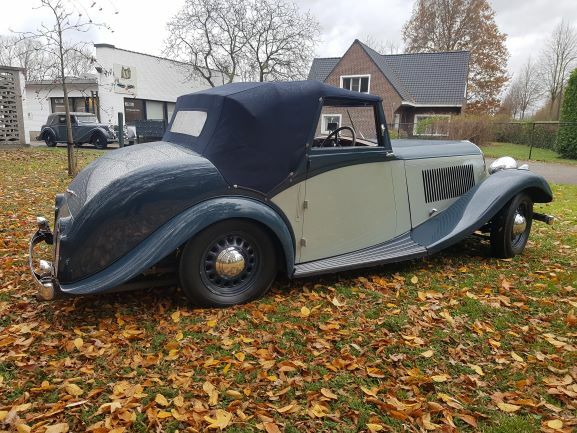 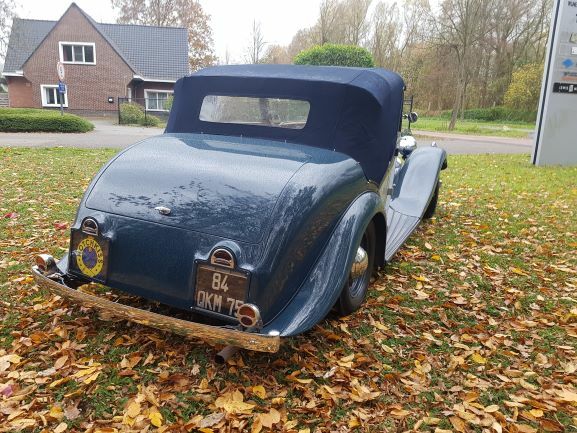 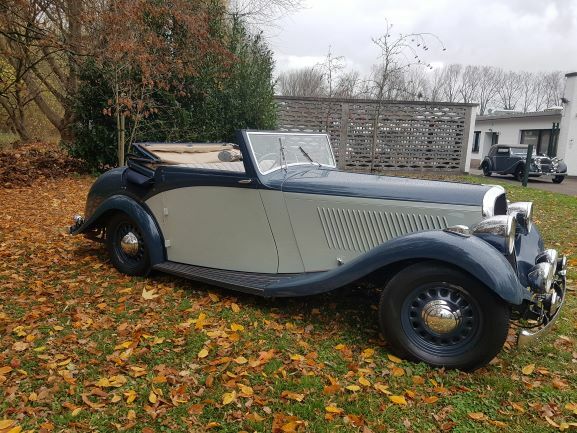 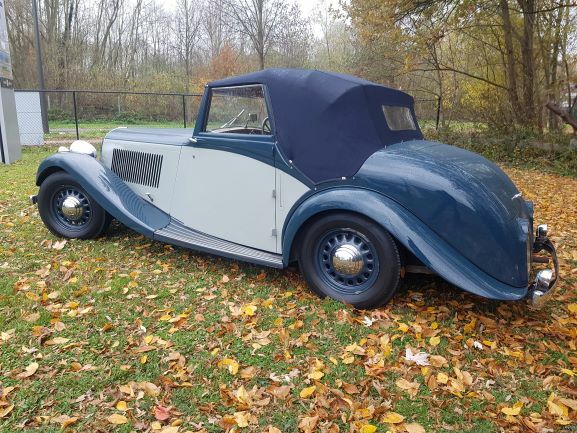 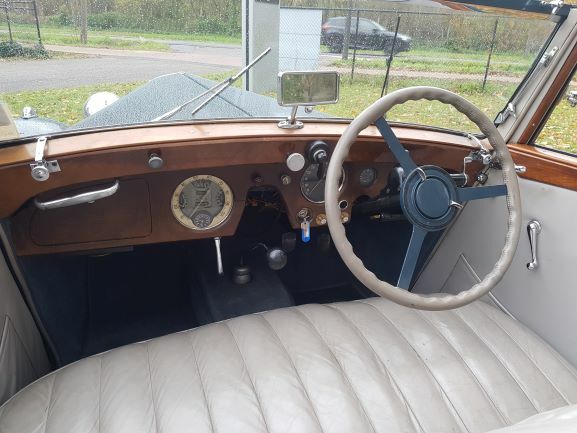 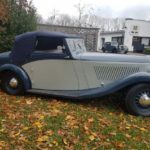 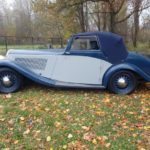 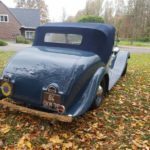 The car has a beautiful patina and was restored some years ago and is still in an excellent shape ready to drive and participate in prewar rally’s and concourse. 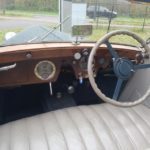 The engine is a 6 cylinder in line, 3,5 L, fitted with 2 SU carbs and producing approx. 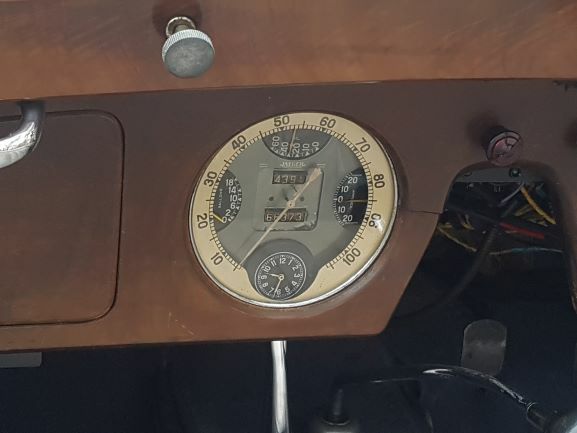 120 HP. 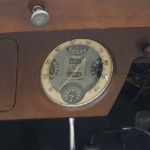 Semi synchronized gearbox handling very smooth. 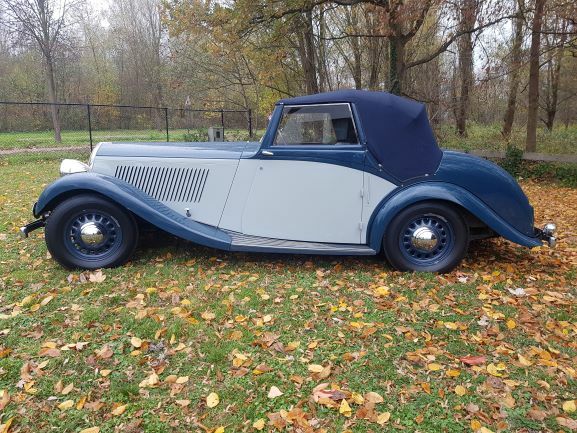 Finished in a nice 2 color scheme and with a beautiful interior, this car is highly original and an unique car to own and drive.